Carsten Höller. 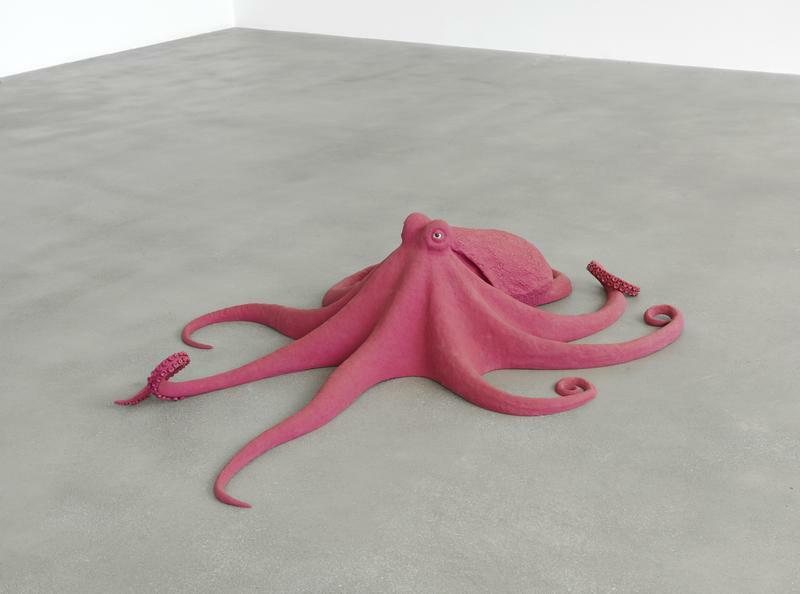 Octopus, 2014. Purple-coloured polyurethane, brown glass eyes, 40 x 171 x 120 cm. © Carsten Höller. Courtesy the artist and Gagosian Gallery. Carsten Höller. Reindeer, 2009. 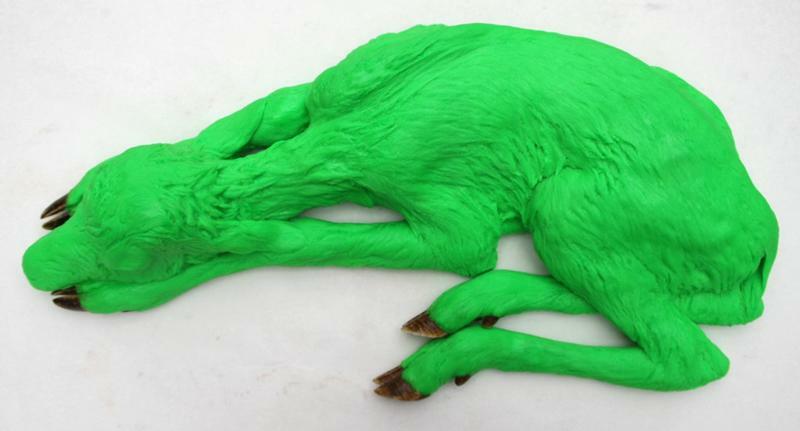 Luminous green colored polyurethane, deer hoof, blue glass eyes, 10 x 28 x 56 cm. 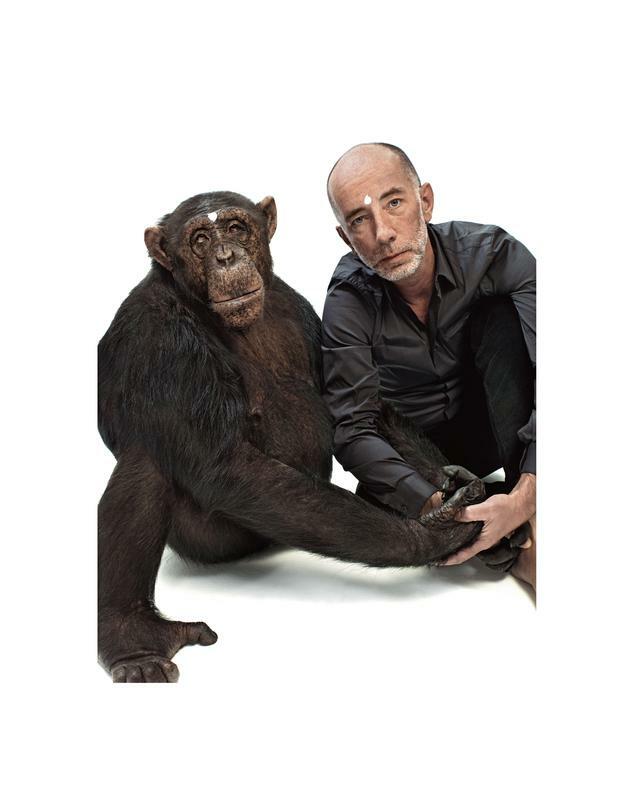 © Carsten Höller. Courtesy the artist and Gagosian Gallery. Carsten Höller. Sina and Carsten 1, 2014. C-Print, 82 x 65 cm. © Carsten Höller. Courtesy the artist and Gagosian Gallery. Carsten Höller. 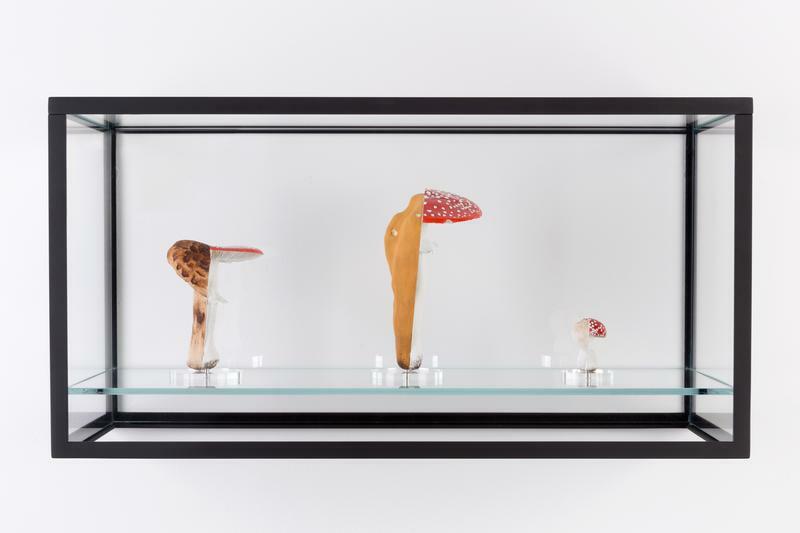 Double Mushroom Vitrine (Threefold), 2015. Cast polyurethane mushroom replicas in various sizes, acrylic paint, glass discs, metal pins, vitrine glass, powder-coated metal framework, 60 x 26 x 31 cm. © Carsten Höller. Courtesy the artist and Gagosian Gallery.